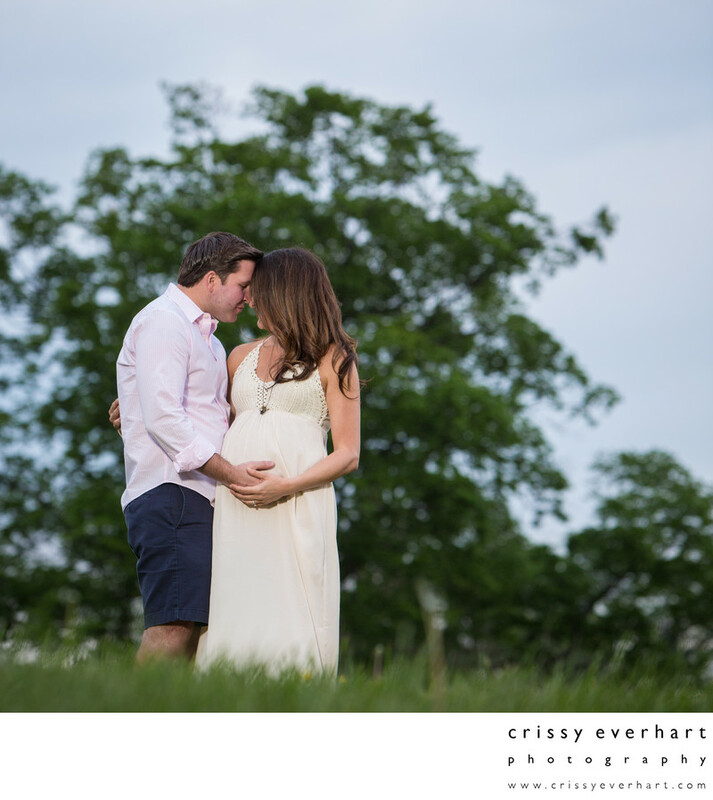 Pregnancy photos in Philadelphia - mom wears a long ivory dress with dad in a collared shirt and shorts. They stand, nose to nose, in front of a tree at the Belmont Plateau section of Fairmount Park. They wore solid neutral colors (as I advise) and the mom wears a maxi dress that accentuates her growing belly.